“Oh, look, yet another email in the Promotions category… Why should I even bother reading it?” That’s the thought most people have when seeing a promotional message in the inbox. Your small business is practically dependent on email marketing. Email campaigns are affordable, but effective. They can get you traffic and conversions. Yes, email marketing is very effective when you do it well. How do you know you’re doing all the right things? – When people actually read your sales emails and respond with some kind of action. How do you get such response? Here are a few tips that will get you there. Most people won’t open the email message to see if they should read it. They make that decision once they see the subject line. If you get this part right, you’ll have great chances to get a response. The most important thing to keep in mind is that you must not sound salesy. Yes, you’re trying to sell something. However, the email recipient shouldn’t notice an aggressive approach through your words. You know what works? A personal approach. Use the name of the recipient, so they will know the message is relevant to them. However, you should only use it when it doesn’t make the subject line too busy. Otherwise, it might even hurt open rates. Rose, do you plan to attend [event]? 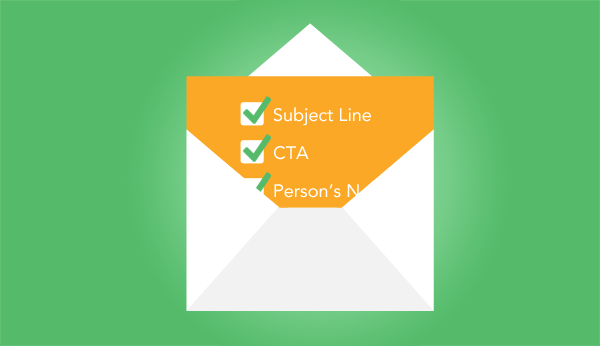 When you’re personalizing the email, you need to start from the subject line. If you’re sending out messages through an automated email campaign, you can personalize them with tools like MailChimp. That’s the proper structure of an email. No one wants to read a huge chunk of text without defined paragraphs. Keep the sentences and paragraphs short. The recipient won’t give you too much time to make a point. You’ll hold their attention only when your message is concise and well-structured. Did you know our official Facebook page just reached 1 million likes? We’re so cool that we’re giving discounts to all buyers of our ah-ma-zing collection. You want more than just a swimsuit? You worked so hard for that body, you gotta show it off in best light. I have a special discount for you! Choose your perfect swimsuit and pay less for it. Do you notice the difference between these two approaches? The first one is focused on the business. The second one is focused on the potential customer – that’s the one that’s more likely to get a response. Focus on showing how the email recipient will benefit from taking the action they recommend. Why should they visit your website? Why should they buy a product? What should they prefer you over the competition? What should the recipient of your email do? If this is a personal sales email you’re writing to an individual, it’s okay to ask precise questions. Have you given any thought to the proposal I sent last week? Please, respond to this message if you’re interested. Let me know how I can help you get the most out of our offer. Do you have more questions for me? Feel free to ask anything. If this offer resonates with you, let’s schedule a quick call. We can do it over phone or Skype. If you prefer a meeting, I’m open for that option, too. In other words – encourage the recipient of your message to do something as soon as they read it. If you don’t include a call to action, they will just close the browser window and act like nothing happened. A single grammar or spelling issue will ruin the impression of professionalism. The content of your email message has to be absolutely flawless. The style should be clear and comprehensive. The recipient should go through this message in minutes and understand its point without having doubts. If you have troubles achieving such an impression through your writing, you can look into outsourcing the task of writing emails. HubSpot conducted a study of 20+ million emails delivered over a period of 10 months. The purpose of the study was to find the ideal time to send a business email. On Tuesday, people were opening 20% more emails than the average. Monday and Wednesday also did well – 18% more opens above the average. As for the timing, it seems like people are mostly looking at their inbox between 10 AM and 12 PM. The peak is at 11 AM. Timing is important. You don’t want to send an email in the middle of the night, since your message will be lost in the inbox by the morning. When you follow these tips, you’ll increase the chances to get response to your emails. Are you ready to take action? Robert Morris is a digital marketing manager from New York. Now he provides consulting services for small business, writes articles on SEO and works for the best writing services.